Almost two years into the trial of Thomas Lubanga for war crimes by the International Criminal Court (ICC), several international justice experts and observers say the court has had a largely positive impact on the ground in the Democratic Republic of Congo, but some differ. Indicted for enlisting, conscripting and engaging children in armed hostilities in eastern DRC in 2002 and 2003, Lubanga, alleged leader of the Union of Congolese Patriots and of the Patriotic Forces for the Liberation of Congo, was detained by the ICC in 2006. His trial began in January 2009. Two other Congolese nationals, Germain Katanga and Mathieu Ngudjolo Chui, have been indicted on several charges, including using child soldiers. They were detained in 2007 and 2008, respectively, and their trial began in November 2009. She attributed this awareness-raising effect primarily to the Lubanga case, which has garnered significant international attention as the ICC’s maiden trial. Radhika Coomaraswamy, UN special envoy for children and armed conflict, pointed to the “enormous impact” of the ICC indictments, which have driven home the message that recruiting child soldiers was a serious offence. Others are not so convinced, however. “The impact of the Congo trials will depend heavily on whether they result in successful prosecutions,” said Phil Clark, lecturer in comparative and international politics at the School of Oriental and African Studies at the University of London. “In Ituri, the prosecutor’s strategy is seen more as fulfilling his own need to get fast judicial results than reflecting the magnitude of Lubanga’s crimes." The deterrent effect of the cases has been more difficult to gauge, but anecdotal evidence suggests that at least some Congolese rebels voiced concern or modified their behaviour out of fear of being indicted and prosecuted by the ICC. “Today many leaders of armed groups are afraid to engage in hostilities or recruit child soldiers [for] fear of being charged by the International Criminal Court,” said Nicolas Mateso, an ex-combatant in Ituri. According to the 2010 Victims’ Rights Working Group report, “the fear of the ICC, the improved knowledge that crimes should not go unpunished, and the fact that the international community is watching, have had a positive effect on deterring the commission of further crimes”. Evidence to support this claim, however, is scant. Another argument in support of the ICC trials suggests that survivors have benefited from having perpetrators brought to justice. Speaking in their personal capacities, John Washburn and Matthew Heaphy from the American NGO, Coalition for the ICC, noted that “victims very badly desire to have their story told”. The ICC has also given survivors the right to participate in proceedings for the first time in the history of international criminal justice, which some analysts say is important for former child soldiers. But according to human rights lawyer Kate Cronin-Furman, survivors are “not a homogenous group” and have mixed feelings about the trials and those accused of war crimes. Some former child soldiers interviewed by IRIN showed no interest in the trial. “For us what matters is harmonious reintegration into civilian life and the enjoyment of a good life,” said Alex Shukuru, formerly with the Congolese People's Army armed wing of the Congolese Rally for Democracy. Those sceptical of overall deterrence point to the way the ICC trials have unfolded and say the Court cannot target most war criminals. According to Cronin-Furman, punishment, in criminal law, “has to be quick, severe and reliable in order for deterrence to operate”. International justice, in contrast, is long, lacking in severity and “only a handful of people are indicted”. Challenging the significance of awareness-raising, Dan Fahey, a visiting professor at California-based Deep Springs College, suggested that the potential negative effects of the trials could outweigh the positive effects of current and future warlords knowing that child soldiering is a war crime. “While Ituri is largely at peace now,” he said, the peace is “very fragile”. Community elders in Ituri urged the ICC to also arrest those in power. “The ICC must also arrest members of the government who are implicated in various crimes in Ituri,” said Alex Losinu, a Lendu elder. “The ICC trial has no deterrent effect because the real criminals are exempt from charges and are integrated in communities. Moreover, this trial is taking place thousands of kilometres outside Ituri. Elsewhere we know that the world tries to demonize Ituri as they arrested only Ituriens," added Losinu. Fahey believes a hybrid court was a better option because it would “give the Congolese a stake in this”. The justice system in DRC is severely limited, resulting in widespread impunity. ”Ending impunity in the DRC isn’t going to be addressed by the ICC on its own,” Goetz noted. Washburn and Heaphy, on the other hand, said “the court has had to learn on the job in conducting these first cases which have inevitably raised procedural and legal issues not foreseen in the treaty establishing the Court and which have had to be resolved in numerous appeals”. The Ituri conflict came to an end in 2007. According to Fahey, “people in Ituri are just very tired of war” and this partly explains why a delicate peace has endured in the region. 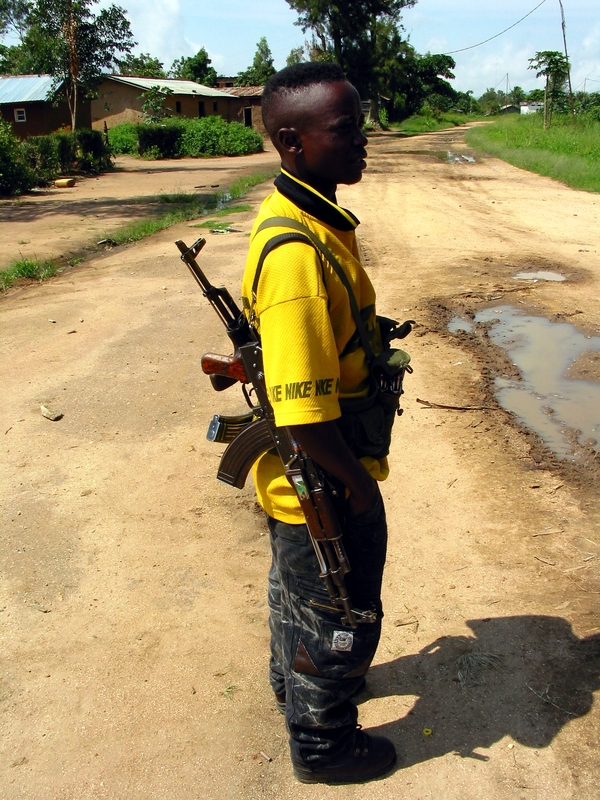 But in the wider eastern DRC, conflict persists and so does the recruitment and use of child soldiers.